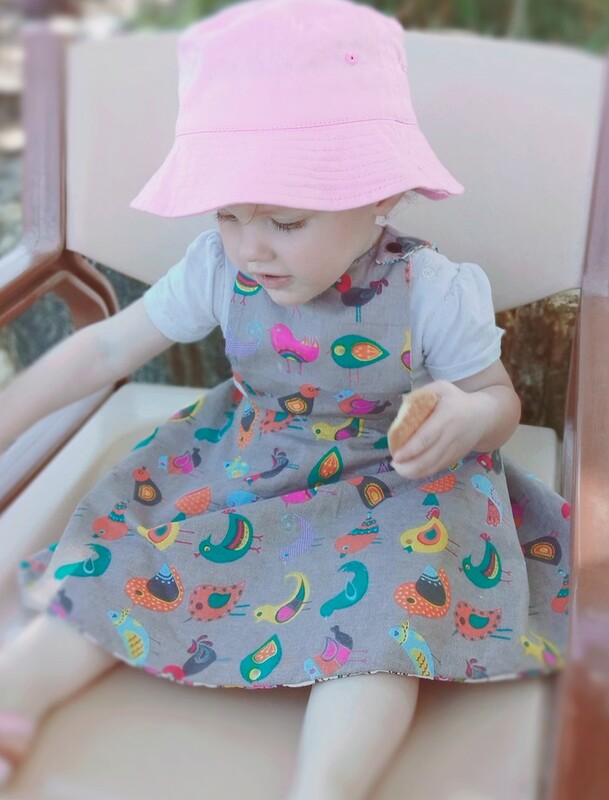 This super cute kids outfit is an original design, handmade by myself on my sewing machine, in sunny Western Australia. Size 0 to 3 available. Adjustable - Snap buttons allow you to let out the waist and shoulder straps as your little one grows. It's specifically designed to fit them for longer than the traditional sizes do. Reversible - A different fabric pattern is used on each side of the outfit, just flip it inside-out for a fresh new look! Please see my other items for more fabric options. Versatile - Shoulder straps are interchangeable thanks to to the snap button system. You can cross them over, twist, halter, t-section, or just straight, whatever you feel like on the day! Matchy-Matchy - A matching bow and headband is included! The bow is removable, and thanks to the snap button system, it can be worn on the dress or on the headband. 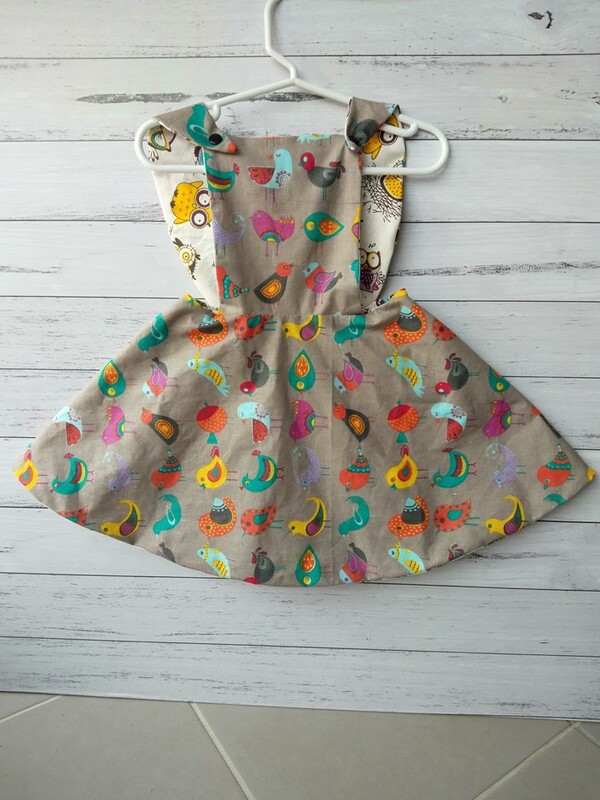 Want your kids to be cute and co-ordinated? 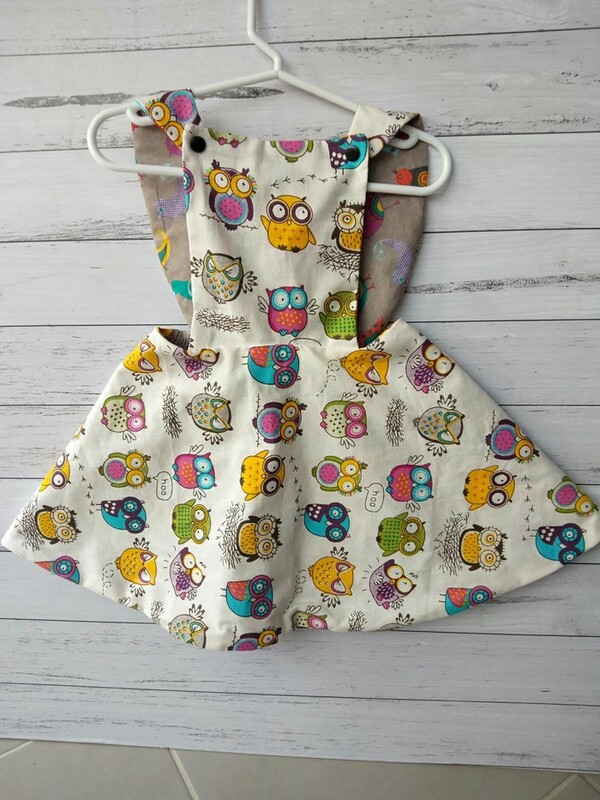 I make matching overalls and dresses! Please check out my other listings. Please include your order number in the notes field of the funds transfer.